Wanna express your love and adoration to your loved ones in a more romantic way? Well, the alluring beauty of Valentine plants will do the magic and make your loved ones feel extra special. So, give a lovable Valentine plant to your sweetheart and celebrate your love in the most passionate way. Valentine's day is a special day on which you show your love and adoration to those who are closer to you such as mother, father, siblings, husband, wife, friends, boyfriend, girlfriend, and so forth. 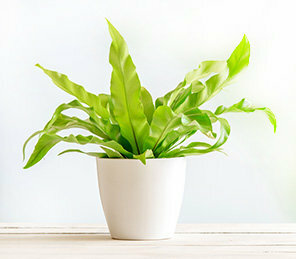 With potted plants say "I Love You" a lot longer to your loved ones on the special occasion of Valentine's day. Giving the beautiful potted Valentine plants are the best way to spread Valentine joy in the atmosphere. If you want to send the most adorable Valentine gift to your dear ones anywhere in India on Valentine's day then, order the Valentine plant online via FlowerAura. Sending these romantic Valentine plants will help you to show your love and adoration for your near and dear ones in a perfect way. So, don't waste your valuable time in thinking much just place your order here. And, we guarantee to send your love message to your loved ones on time. Winter is about to go and the beautiful season of love i.e. the Spring season is around the corner. The spring season brings the charm of love with itself. Flowers start to bloom, the plants start to grow and you start diving in the ocean of love. So, don't wait to send the romantic Valentine gifts to your near and dear ones on the special occasion of Valentine's day. Because FlowerAura gives you a golden opportunity to express your love in a more romantic way. Here you will get varieties of plants to send to your loved ones on valentine's day such as lucky bamboo plant, red rose plant, heart cactus, golden money plant, etc. Apart from this, you can also send varieties of lovable gifts along with beautiful love plants. Because FlowerAura provides you with wonderful gift combos and hampers so that nothing is left in expressing your deepest love for your loved ones. Valentine's day is not a normal day to wake up in the morning and do your usual daily activities. It is a day which gives you an opportunity to celebrate love with the most special person in your life. It is a day everyone wishes to celebrate in a special way. Everyone wants to impress his or her special someone on Valentine's day. Some people arrange a romantic dinner, some go for long drive, still Valentine gifts for boyfriend, girlfriend, husband, wife, etc. play a vital role in the celebration of the love day. So, give the most adorable Valentine plants to your loved ones on the occasion of love and tell how much you love them. The alluring beauty of plants makes them remind your pure love for a lot longer. The best thing is the beautiful potted plants are available at reasonable prices that you can easily afford. As you know Valentine's day is a day which is celebrated as a special day of love. In this day, people gift the token of love to their near and dear ones to show their love. Giving lovable gifts to someone special shows how much you love and care for them. So, if you are also looking for one of the best Valentine gifts for girlfriend, then nothing can beat the charm of Valentine plants. By sending the romantic potted plants, you can wish her "Happy Valentine's day" in the most romantic way. Because receiving a well-decorated pot plant in the morning will make her feel extra special and a big smile will appear on her beautiful face. So, never miss the chance of expressing your love for your loved ones, visit our website and place your order. Send Valentine's day plants to your loved ones and make them feel special. So, ensure you take your relationships and special moments at a height of adoration with beautiful Valentine plants.